Following a very successful link with Le Mans 24 Hour winners Team Audi, Ragus supported ’56 & ’57 Le Mans winners Ecurie Ecosse on their sportscar return to the 24 Hours of Spa. Congratulations to Alsadair McCaig, Andrew Smith, Joe Twyman and Oliver Bryant for qualifying 31st out of a 62 car grid and finishing 20th overall, driving their Aston Martin DBRS9, GT3. 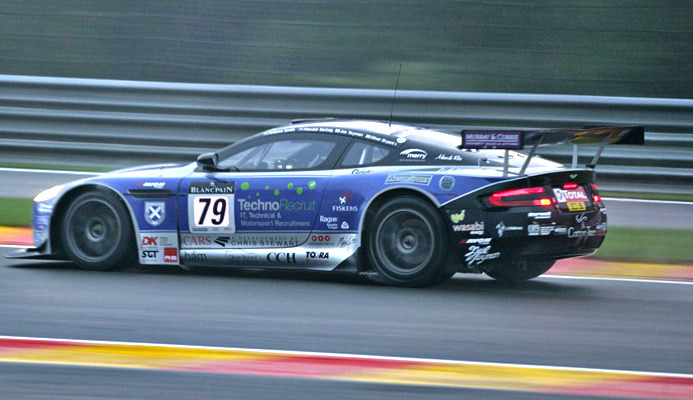 Ragus sponsored Ecurie Ecosse GT3 at Spa Francorchamps.